Stunning hand-knotted silk area rug, it is woven in pure silk. It is woven in Handknotted technique. It contains open Kashan design pattern. It is a highly durable and hand-washable rug. This trendy handmade silk rug is latest from India. Handwoven by skilled weavers on the traditional handlooms by using various colored pure silk that gives to this rug a very vibrant texture. Silky, soft, Shiny and very trendy rug. This is woven using a hand-knotted technique. 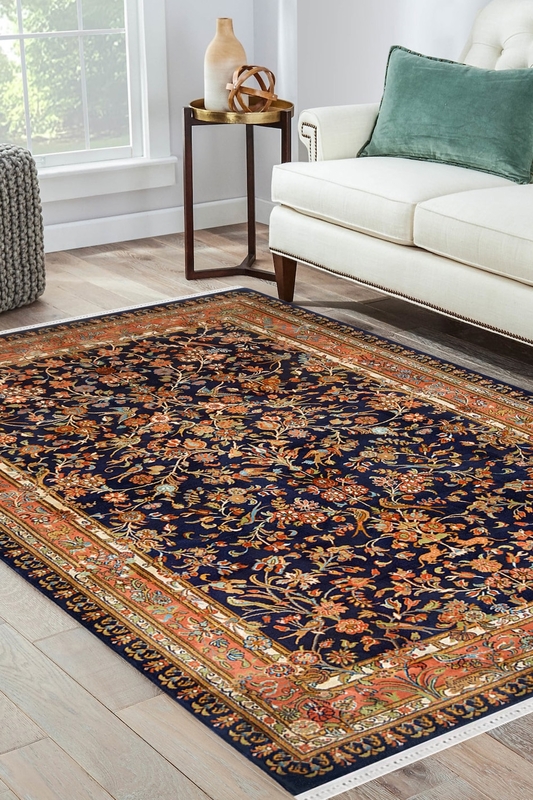 The ground of this rug contains floral pattern with tings of birds.